In your experience, which of the following is true? A) The leaders in my church are like the writer of Hebrews – they expect the people in their congregation to grow in the Lord and be able to teach others about God’s Word and godly living. B) The leaders in my church are not like the writer of Hebrews – they don’t expect the people in their congregation to grow in the Lord and be able to teach others about God’s Word and godly living. C) Somewhere in the middle of “A” and “B.” The leaders in my church hope that people will grow but they don’t really expect people to be able to teach others about God’s Word and godly living. Think about the above for a moment. What are the expectations in your local church? Is there an expectation that people will grow in the Lord and be able to teach other people about Jesus and how to live for Him? Or is it assumed that only a select few are able to teach and that everyone else should simply bring their families and friends to those select few who are teachers? In many churches there is such a reliance on seminary-trained ministers that we have totally lost the idea that a new convert should grow in the Lord and become able to teach, even if the ones they are teaching are their children, neighbors, or co-workers. As a result, our churches are made up of spiritual babies, people who have come to the Lord for salvation but have not grown in their faith. They are infants in need of constant care and spiritual milk because they have not been trained in the ways of righteousness nor taught how to be a teacher of God’s word. We must free ourselves from our reliance on a select few licensed ministers and begin to see that all of God’s people can mature in the Lord, live godly lives, and be able to teach others how to come to salvation and grow in the Lord. We have to reject the idea that only a select few are called to ministry and begin assuming that God calls every believer to be able to teach and to minister to others. In other words, we must begin to expect people to grow up spiritually instead of expecting them to remain spiritual babies. We have to change our expectations for the simple reason that we usually get what we expect. If we expect that one or two in our congregation will really thrive and grow in the Lord and become potential leaders that we can send off to seminary for training, then that is what will likely happen. However, if we expect everyone to grow in the Lord and teach everyone how to share their faith, teach the Word, and minister to others, then a large percentage of the congregation will be empowered and equipped to evangelize, teach, and minister. Of course, not everyone has the spiritual gift for public teaching and not everyone is qualified for church leadership (see the article Qualities of Church Leaders). 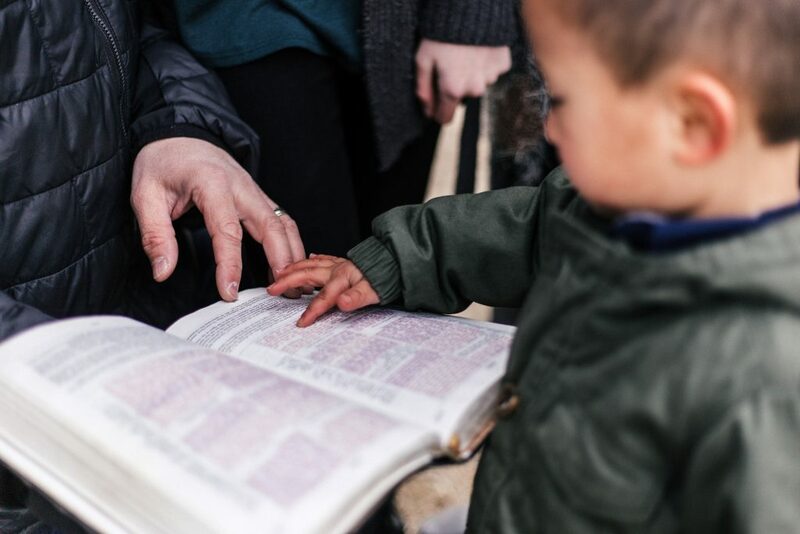 However, even though some people will have a special gift for teaching, the truth remains that throughout the New Testament there is an expectation that new converts will grow in the Lord and become able to teach others. "Instead of being made up of spiritual babies who are pushed to and fro by the prevailing cultural winds and who rely on the religious elite to tell them what to do, those spiritual babes will grow in their knowledge of the Scriptures, their righteous living, and their ability to teach." Let’s start with the Apostle Paul – he tells us: “Let the message of Christ dwell among you richly as you teach and admonish one another...” (Col. 3:16) And in both 1 and 2 Timothy, Paul told Timothy to appoint elders who were able to teach. These leaders were people who had come to Christ, grown in the Lord, and were now able to teach others. They weren’t licensed to minister nor trained in a seminary; they had learned about the Lord and grown in Him in their own local church and were now able to teach others. This expectation of spiritual growth was not unique to Paul and the churches he planted. The Apostle Peter wrote, “Always be prepared to give an answer to everyone who asks you to give the reason for the hope that you have.” (1 Peter 3:15). Clearly, Peter had an expectation that all believers would be able to teach others about the hope that they have in Christ. When we begin to do this, to expect people to grow in the Lord and then take what they have learned and pass it on to others, we will see a dramatic change in our churches. Instead of being made up of spiritual babies who are pushed to and fro by the prevailing cultural winds and who rely on the religious elite to tell them what to do, those spiritual babes will grow in their knowledge of the Scriptures, their righteous living, and their ability to teach. May the Lord give us the ability to empower everyone to be able to teach.